The Dr Shezad Malik Law Firm helps folks get the recovery they need after being involved in a viscous dog attack or dog bite accident. Our best friend bites more than 4.7 million people a year, and medical and dog experts believe that public education can help prevent these devastating bite injuries. The third full week of May is National Dog Bite Prevention Week, and the American Veterinary Medical Association (AVMA), the United States Postal Service, and the Centers for Disease Control and Prevention are each working to educate Americans about dog bite prevention. A dog bite can lead to serious injuries from the dog owner's negligence or recklessness. The physical damage and emotional scars associated with a dog bite can last a lifetime. Many times there are significant medical costs associated with recovering from a dog bite. Usually, the face, head and neck suffer the brunt of the injury as a result of a dog bite or attack. This can require extensive and repeated plastic surgery at an enormous cost. Dog bites are according to experts, cost victims many millions dollars annually. According to the The Centers for Disease Control (CDC), dog bite data show that almost 5 million people suffer from dog bites every year. Almost 400,000 people, require medical attention for these dog bites. Tragically, more than a dozen people die each year from injuries sustained by dog bites. More than half of the dog bite and dog attack victims are children. Around two-thirds of dog bite incidents occur on the dog owner's property. 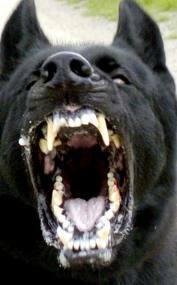 Typically unrestrained dogs, without leases, off their owner's property also account for a large percentage of dog bites. The Center for Disease Control (CDC) considers Pit Bulls, Rottweilers, German Shepherds, Huskies, Alaskan Malamutes, Doberman Pinschers, Chows, Great Danes, St. Bernards, Cocker Spaniels, Collies and Akitas to be the highest risk dogs. Unfortunately almost any breed of dog is capable of inflicting serious, even fatal, injuries. There are some breeds whose bites can be much more dangerous than others. "Pit bull" type dogs and Rottweilers were involved in more than half of the dog bite related fatalities. The Texas Personal Injury Attorneys at the Dr Shezad Malik Law Firm represent clients throughout Texas. Our Dallas Fort Worth Personal Injury Attorneys handle a various types of personal injury claims, including Vehicle Accidents, Medical Malpractice, Birth Injuries, Product Liability, Defective Products, Slip and Fall Premises Liability, Day Care Abuse, Maritime Injuries, and Workplace Injuries. Call 888-210-9693 ext. 2 or 214-390-3189 or Contact Us Online for immediate assistance with your case today!